Sports equipment within the standard measurements of hand luggage 56x45x25 including straps, pockets and wheels. Musical instruments that do not exceed the measurements of a standard guitar 30x120x38. Special equipment carried on board is classified as a piece of hand luggage. If you wish to carry more luggage, this must be checked in. A charge of 45 euros* will be applied, irrespective of luggage allowance, to sporting goods and musical equipment.Payment for these items must be made at the check-in desk. **Different taxes, charges and fees may apply, in accordance with the relevant legislation in each country. Exception: For Iberia Singular, Iberia Plus Infinite, Platinum, Gold and Silver cardholders, these items shall always be considered as part of the luggage allowance. This advantage is not extended to oneworld holders. In a single container with a maximum length of 3.5 metres. A non-motorized single-saddle bicycle. 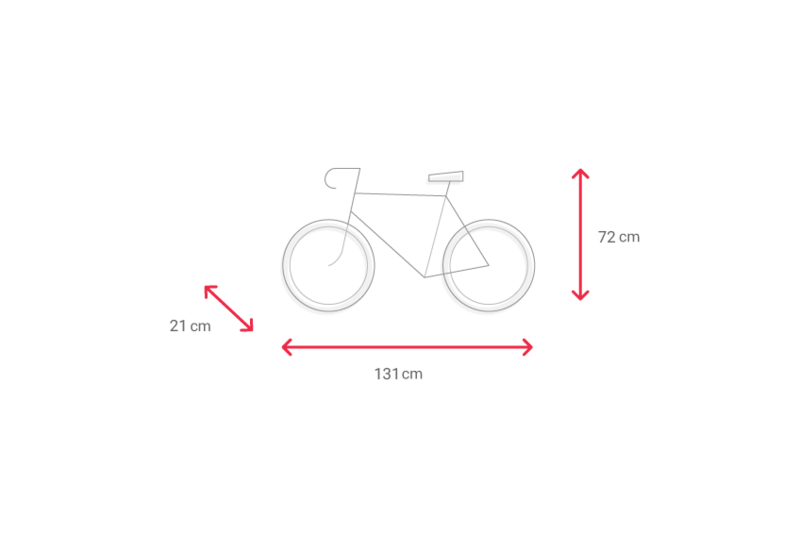 Must be checked in with pedals removed, tyres deflated and must be perfectly packaged. A bowling bag with a bowling ball and a pair of shoes. One board with a maximum size of 100 x 50 x 20 cm. A transport bag with a non-motorized rubber boat and two oars. One inflatable life jacket + one 60 gram bottle of CO2. Snow: A pair of skis or a snowboard, a pair of poles, a pair of ski boots (in separate bag) and a helmet. Can be transported in two bags (max. 23kg total). Water: a bag with a pair of standard size water skis or a water slalom ski. All items of skiing equipment must be appropriately placed and secured in such a way that they do not cause damage or difficulty during loading, transport and unloading. Golf equipment is defined as a golf bag containing a maximum of 14 clubs, a dozen golf balls and a pair of golf shoes. Golf clubs must be well secured inside the bag in such a way that they do not cause damage or harm during loading, transport or unloading. A hockey bag, hockey sticks, a pair of ice skates and set of protective pads (elbows, knees, etc.) and a helmet. 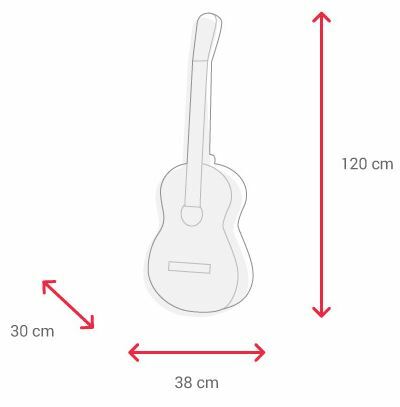 Musical instruments whose dimensions do not exceed 30 x 120 x 38 cm (standard guitar measurements) may be carried in the cabin as the sole piece of permitted carry-on baggage. The maximum measurements allowed for checked-in musical instruments, amplifiers and sound equipment are:190 x 75 x 65 cm with a maximum weight of 23 kg. Connection flights for long-haul flights (America, Asia and South Africa), it is considered an item that can be carried within the passenger's allowance. If you add other items, exceeding the permitted number of free items, it will be considered excess baggage. A set of javelins transported in a container. A bag with a skateboard, a set of protective pads (elbows, knees, etc.) and a helmet. Parachuting equipment transported in a container. A bag with skates, a set of protective pads (elbows, knees, etc.) and a helmet. Parachuting equipment transported in a single container. Motorized paragliders are not permitted. Fishing equipment can be transported in a maximum of 2 containers: one containing two rods and the other boots and fishing accessories (max 23kg total) as checked luggage. May be transported as checked luggage provided terminals are isolated to prevent any potential short circuit and the accumulator is duly docked to the wheelchair and disconnected. Items must be watertight and immutable to electrolysis and protected against violent movements. Accumulators must be protected against short circuit and kept in a vertical position and packaged surrounded by absorbent material. In any case, we recommend that passengers contact Iberia Express. Surfboard: a surfboard no more than 2.5m in length. 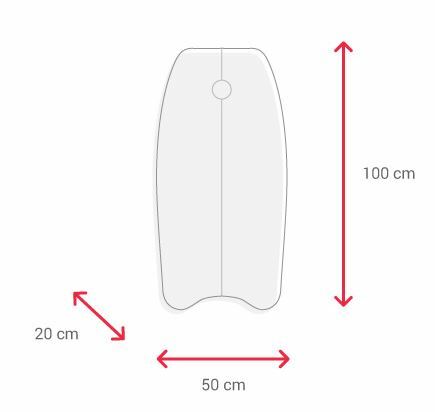 Windsurf board: consisting of a board (max 2.5 m in length), boom, centreboard, mast and sail all packaged together. Kiteboard: a board and parachute. Only one item of equipment accepted per passenger. A set of rackets and balls transported in a bag. A set of bow and arrows transported in an impact-resistant container. Rifles and shotguns (long-barrelled weapons):Two rifle or shotgun holders containing no more than 2 rifles or shotguns in total. No more than 5kg of ammunition in one or several cases. An additional case or briefcase for the shooting material (clothing, gloves, footwear, tripod, spyglass, rollers, etc. and small tools or spare parts). Pistols (short-barrelled weapons): Two briefcases for pistols not containing more than 5 pistols. No more than 5kg of ammunition in one or several cases. An additional case or briefcase for shooting equipment (clothing, gloves, footwear, tripod, spyglass, rollers, etc. and small tools or spare parts). Firearms must be unloaded, disassembled (with the exception of rifles and shotguns which cannot be disassembled) and appropriately packaged. Ammunition will be transported on the aircraft only in checked luggage and only when appropriately labelled and identified and with the knowledge of the carrier(s) and duly packaged in wood, metal or cardboard boxes pressed to protect against any sudden impact or movement. Firearms and ammunition cannot be carried in the same container. Bladed weapons and sharp objects must be carried in the appropriate containers. In order to check in, you must be at the airport at least 2 hours in advance to request the authorisation issued by the Airport Weapons Authority, which shall provide the required forms. The original will remain with the passenger and a copy of same must be included within the luggage or the container containing the firearm. Luggage containing the firearm must be collected by the passenger from the Airport Weapons Authority at the destination airport, if a domestic destination and, in the event of an international destination, as according to authorities of the country concerned. Firearms are always considered special luggage, outside of the regular baggage allowance. A fixed fee of €75 each way applies, payment of which is exclusively processed at the airport, regardless of destination. 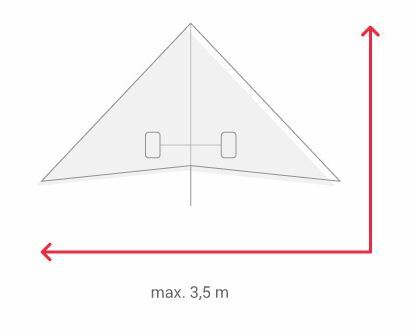 In you would like to transport equipment that is bigger than our permitted size, please contact us ahead of time to confirm whether it can fly with you on the same airplane. 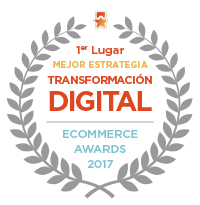 Musical instruments, audiovisual equipment, industrial parts, etc. 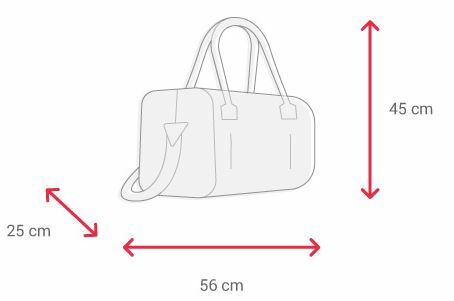 that weigh from 32 to 45 kg will always be considered an additional piece of luggage. They carry a surcharge of €150. Luggage not accepted as checked luggage: The following items are not accepted as checked luggage: canoes or kayaks, tandem bicycles and pole vaulting equipment with poles. Transport of these items must be arranged with the Air Cargo department (IAG CARGO 901 111 400 if calling from Spain and (+34) 917481010 from abroad. Available Monday to Friday from 09:00 to 18:00)). Other special luggage items such as: pilgrims' staffs, umbrellas, parasols, bullfighting equipment, etc. shall be treated as part of the standard allowance at all times. Changes to this document affect the sports equipment and musical instruments luggage policy of the IB Group (Iberia - Iberia Express - Air Nostrum) for all tickets purchased from 1 June 2016. The allowance refers to that stated on the ticket plus luggage benefits awarded based on the level of frequent flyer's card.